The decision by Whitney Houston's family to call their final tribute to the late entertainer a "home going" ceremony in the church where she sang as a young girl, New Hope Baptist Church, Newark NJ, brought her close to the many devotees who loved her and listened to her music for over 30 years. 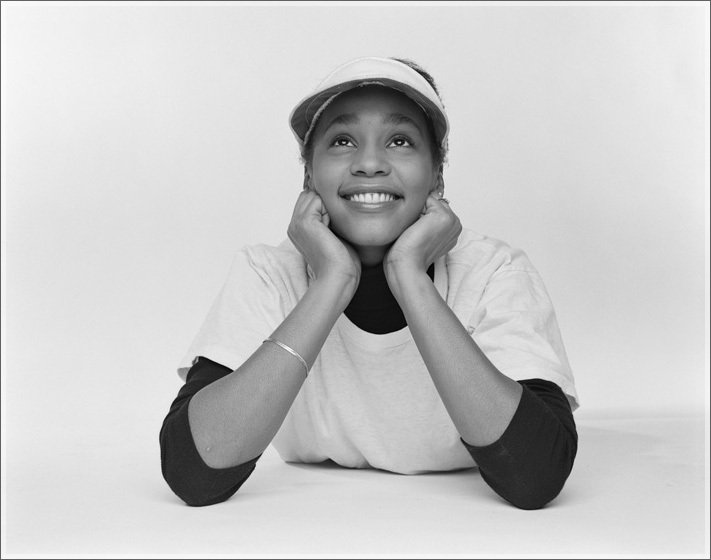 It is worth mentioning that when Whitney sang, her eyes often looked up to the heavens, to her source of inspiration. Many of the tributes at the ceremony were religiously inspired in the Baptist tradition, and in the face of an early death were perhaps comforting to those who wondered how a troubled passing could happen to someone so gifted. From Whitney Houston we have learned that music, was love. When her voice started to fail during hard times, she was left without the instrument of her divinity. Everything about her comeback in recent years had to do with getting back on stage, on screen, making albums and expressing her gift to her fans. Clive Davis, who Houston called her "industry father", remarked that she was sure to "raise the roof in heaven like no one else has done before". No doubt, she has done that on earth, especially her home state New Jersey where flags were flown today at half mast. Brother in law Ray Watson, Houston's real bodyguard - “Uncle Ray “ reminded the world, “we don’t need to ridicule artists”. It is not just about the price of a ticket that counts to an artist, he said, but to be acknowledged with love. He explained how Whitney flew all around the world on a demanding schedule, and that she did it for the love of music and her fans. Houston learned that it was a tough business after her initial successes, which we heard in interviews with Diane Sawyer and Oprah Winfrey in recent years. Aunt Dionne Warwick read the poem "I'm Free" by Shannon Lee Moseley in honor of her niece. This for many of her fans, family and friends was also of comfort no matter how many would have wanted Whitney Houston here today. God wanted me now - He set me free”. There was time for laughter too at the ceremony. Warwick joked to Houston after she sang the "National Anthem" in such an illuminating way at Super Bowl XXV, "what's next, the phone book?" According to sister in law and former manager Patricia Houston, Whitney’s love of God was strong: "Anyway you fix me LORD; I'll be satisfied", she had said. Patricia consoled Whitney's mother Cissy Houston, telling her that she had done her best. Pastor Marvin Winans who ended the tribute with a rousing sermon also comforted "Mama Cissy": "You brought the world to church today". The church choir where Houston sang solo performed the introductory hymn "Grateful" by Hezekiah Walker and later accompanied gospel singer Kim Burrell. Stevie Wonder rearranged his lyrics from "Ribbon in the Sky" for Whitney, and Alicia Keyes sang a soulful ballad to Houston - "Send Me an Angel". Kevin Costner, co-star and producer of The Bodyguard (1992), where Whitney made her film debut, spoke about holding back production for a year while Whitney was on tour to make sure she would be in it, and later supporting her through the screen test she was terrified to do for the studio. Costner spoke about the background of the title song of the film, "I Will Always Love You" which became Whitney's biggest hit and number one on the charts nationally and around the world. Costner said the song was chosen over "What Becomes of the Broken Hearted". He told the church that he and Whitney Houston shared experiences of growing up in the Baptist church on the movie set. The "Home Going" was an important closure for Whitney Houston’s fans, family and friends. The streaming coverage on the Internet offset the media commentary we have been bombarded with this past week - rumors, insinuations, criticism and speculation. The tribute, which as Pastor Marvin Winans remarked "had more celebrities in the room than the Grammys", did not focus on personalities but on the woman everyone came to honor. The camera was placed at the back of the church with no closeups. CNN also covered the streamed event of the ceremony devoid of commentary until after the ceremony. As expected, the invasive style customary of mass media began. But for four hours, this sober and warm ceremony was a beautiful homage to Whitney Houston, something the public groomed on celebrity news is unused to experiencing. "Home Going" put the life of Whitney Houston into a loving perspective and allowed us to say goodbye to the artist whose music will live on. As her golden casket was carried out of the church, “I Will Always Love You” took on new meaning for the young girl who was born with the greatest gift of all: the ability to love and express love through music. This song became her goodbye to us all. Whitney Houston: "Your love is My love.